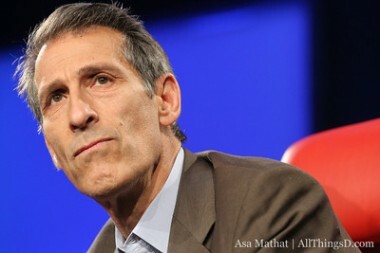 Michael Lynton joined Sony as its studio chairman in 2004. Eight years later — last March — he ascended to CEO of Sony Corporation of America, taking on oversight of all of the company’s U.S. entertainment businesses, except for videogames. A big job, and one that he’s performing at a time when Sony is under tight financial constraints. Among his top challenges: Adapting Sony’s movie business to Internet distribution at a time when movies like “Skyfall” are still grossing $1 billion in the theaters. Onstage at D: Dive Into Media, one of his first appearances since accepting the new job last spring, Lynton talked about the state of the music and movie business in 2013. Are people still going to the theater to see movies and watching TV the way they used to? According to Lynton, they are. “The Internet hasn’t wiped anything out — yet,” Lynton said. How so? According to Lynton, same-old, same-old is no longer quite as successful as it used to be. An eight-episode “Beethoven” franchise might have been a good idea a few years ago. These days, it’s not such a great thought. What if those people like it so much that they create an audience willing to pay a premium to watch a first-run film in their homes? Will we ever be able to pay $40 to watch a “Zero Dark Thirty” in our living rooms, when others are still going to the theater to see it? On DVDs: DVD is not going away. Not now, not for the moment.